Gathering Place presents new night time show, Luminous! You won’t want to miss this night time light show spectacular. 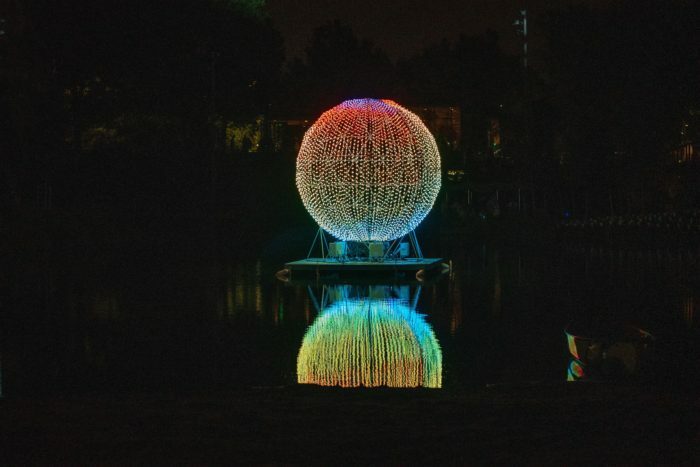 When the day turns to night, they turn on the light with Luminous!Starting at 9 p.m. every evening during Gathering Place’s 100 Days of Opening. Enjoy colorful lights shimmering across Peggy’s Pond as you unwind and reflect on the day’s adventures. It is the perfect way to end your stay at Gathering Place!